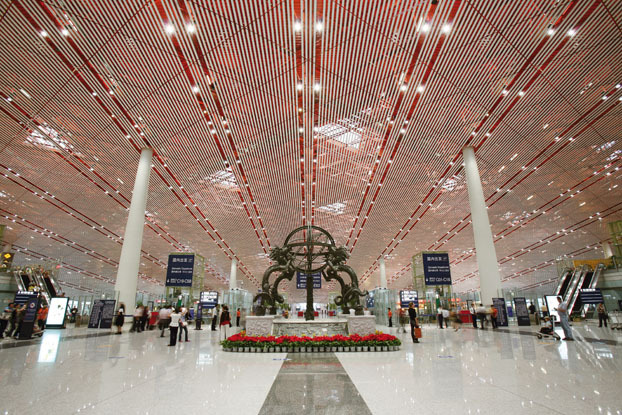 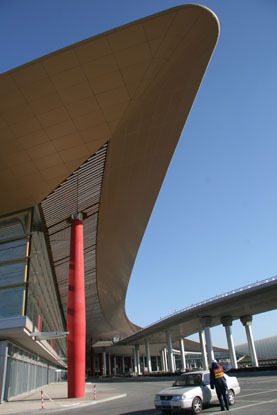 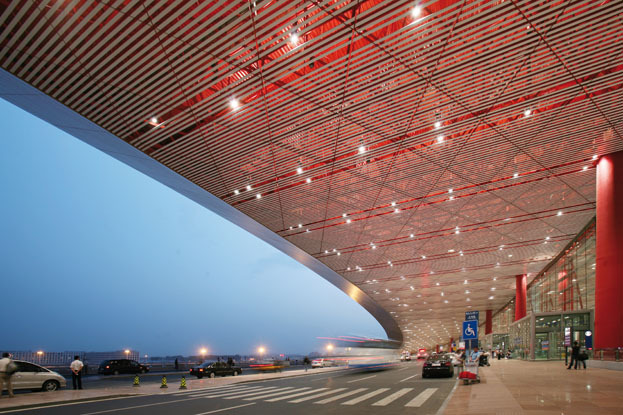 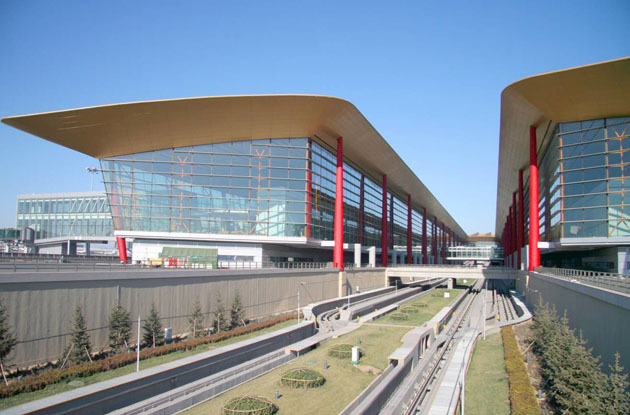 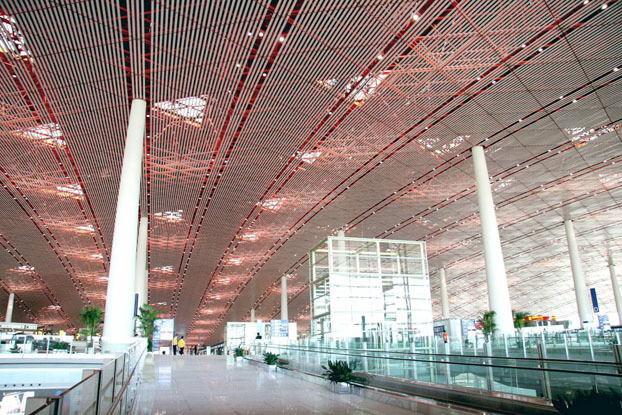 Standing at 986,000 square meters, Beijing International Airport T3 is Asia's largest free standing construction and the world's largest airport terminal complex. 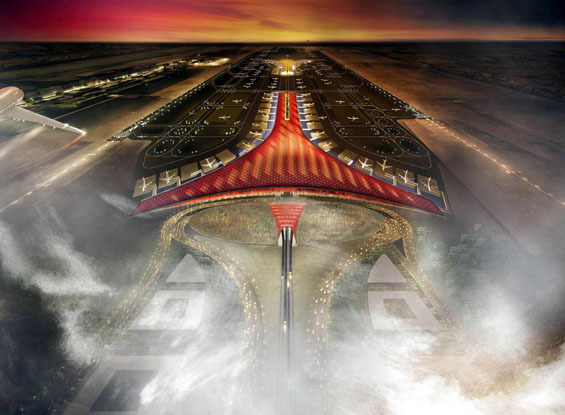 From the air, the new terminal looks like a giant red dragon. 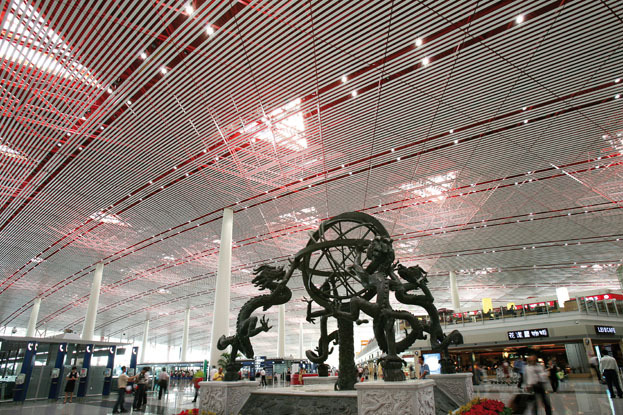 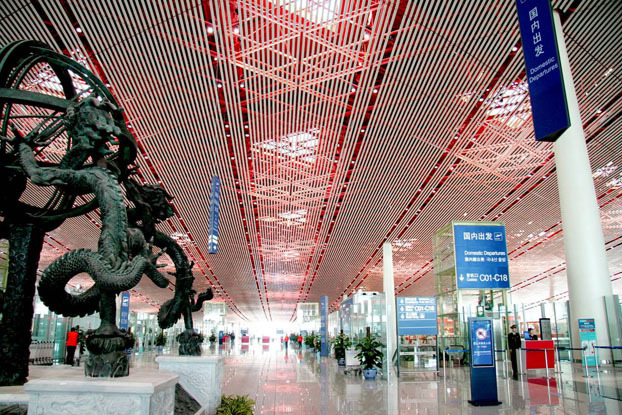 Through the ingenuity of designer Norman Foster, the curve of the complex, the shape of the roof, even the color of the terminal, were based on the traditional Chinese mythical creature. 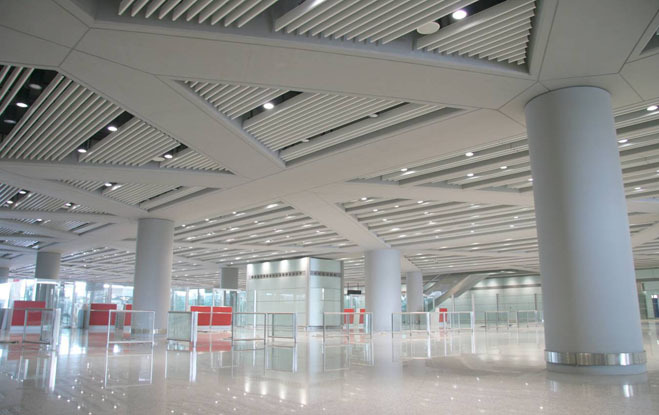 T3 uses a special Luxalon ceiling system with 16 colors. 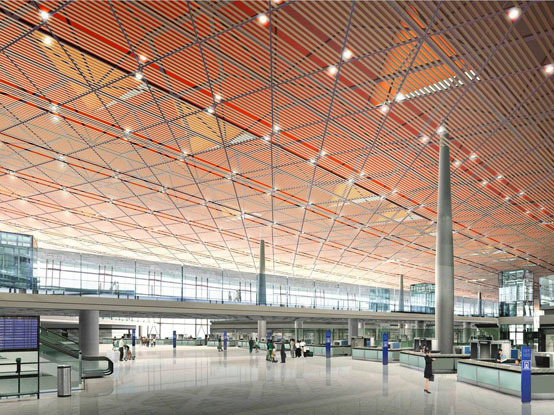 The path from T3's domestic hall to the international hall is marked by a change of color in the steel ceiling grid, from bright red (symbolizing happiness) to golden yellow (symbolizing dignity). Underneath the color carrier structure are white linear panels. 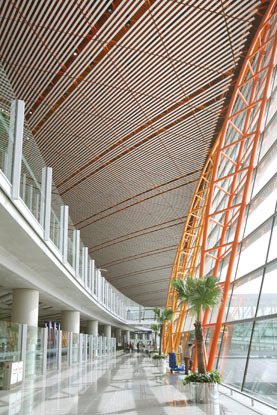 From the space between the panels, one can see the upper carrier structure and color transition, which gives an overall magnificent appearance while highlighting the details of the pattern transition.